Perhaps, each and every of us faced a problem of selecting furnishing by trial and error at least once. It is very common that we find a piece of furniture that really makes us tick in an online shop or a catalogue, tighten our belts for a few months, then finally bring our dream into our home to eventually find out that it doesn’t blend with our interior. At all. So far avoiding this problem is possible in two ways: we may either learn to use special software for interior designers or hire a pro to help us in this. But what are we supposed to do if learning to create 3D renders is out of our plans and inviting a qualified decorator is out of our price range? The answer is the technologies of augmented reality, which lets us add virtual objects into real environments. Just in a few months, in the autumn of 2017, Apple is expected to launch its brand new operating system dubbed iOS 11, the main spice of which is the introduction of ARKit, the technology of augmented reality. Simultaneously with it fans of IKEA expect the launch of an app, which will enable any iPhone or iPad user to try an IKEA sofa, table, arm-chair or any other piece of furniture in the real interior context. 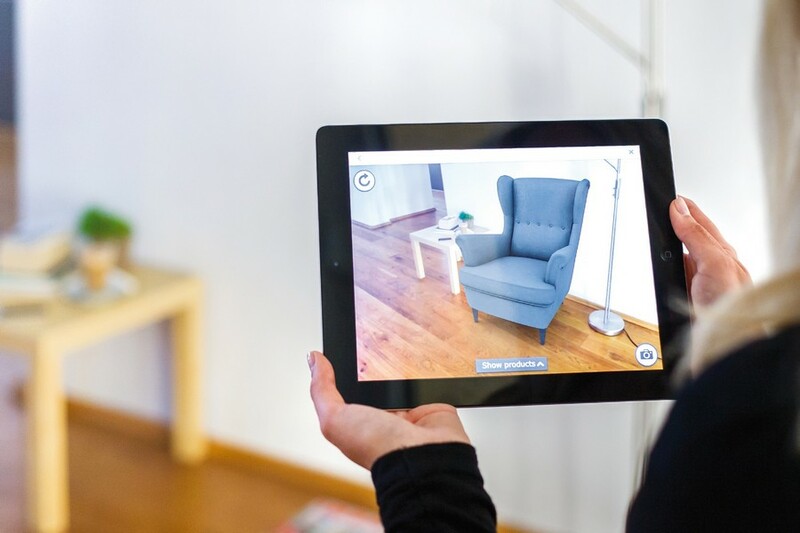 Thanks to augmented reality from now on our choice of furniture is expected to become absolutely well-thought-out and reliable. The fact that Apple and IKEA teamed up for this project is not in the least surprising. For Apple this is a nice chance to demonstrate innovative technologies of the new operating system via one of the world’s most popular furniture-makers and show its potential through something beyond the world of computer and mobile games. While IKEA gets a chance to make their customers happier and their shopping more entertaining. By the way, over time users will be able to order the furniture they chose via this app as well. But, please, be informed that the original collection will include just up to 600 pieces of IKEA furniture for trial, while its complete catalogue features thousands of items. 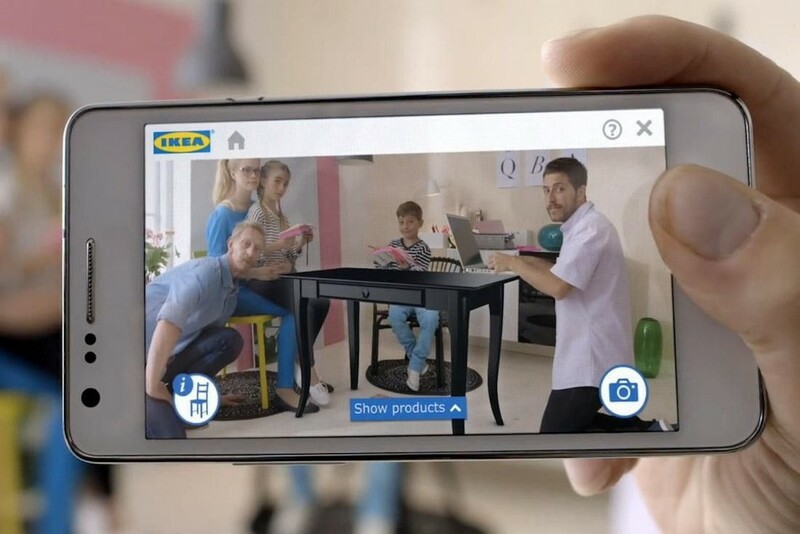 At the same time starting from fall every new IKEA’s collection will be added to the app of augmented reality on the spot. By the way, developments in the sphere of augmented reality have been held for many years already. For instance, you already know from our previous post that the Pamesa brand has impressed the audience during the international exhibition Cevisama 2017 in Valence by a chance to try augmented reality in action: any visitor could put on special glasses and select tiles for the bathroom interior he saw by just manipulating his fingers in front of his face like a computer mouse. Eyewitnesses say it was extremely entertaining to see how the mood of the bathroom changes as soon as you change the collection of wall and floor tiles.